Hurry up Magda and do what you got a do. That’s a dying man you got there, I can see the life fading from his eyes. 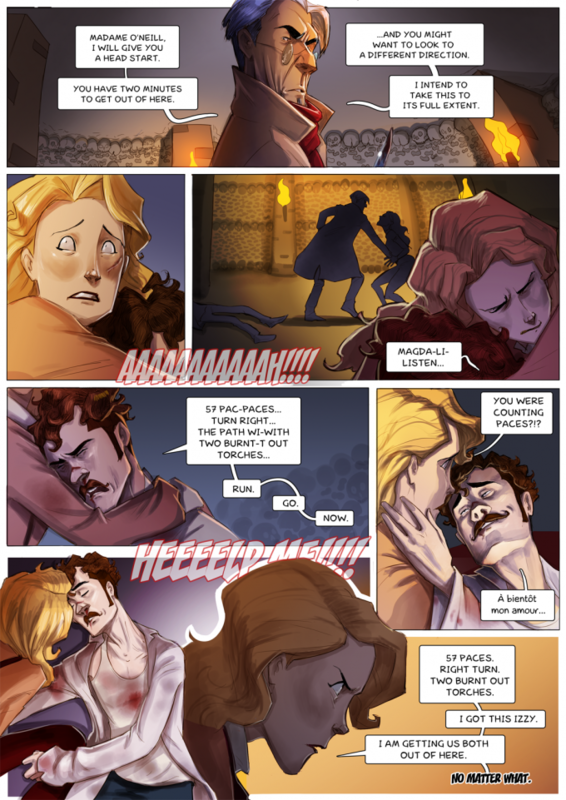 Ange, really like the use of light and shadow you use in panel 5. Izzy’s hand reaching up to perhaps one more time gently cores Magda’s face, beautiful and poignant. Your command of directing the scenes is top notch my dear. Also, last panel, Magda’s look of resolve and determination is great. Ever the fighting Irish in her blood. You go girl! “A bientot mon amour.” Be brave? my love. Not to good with French.